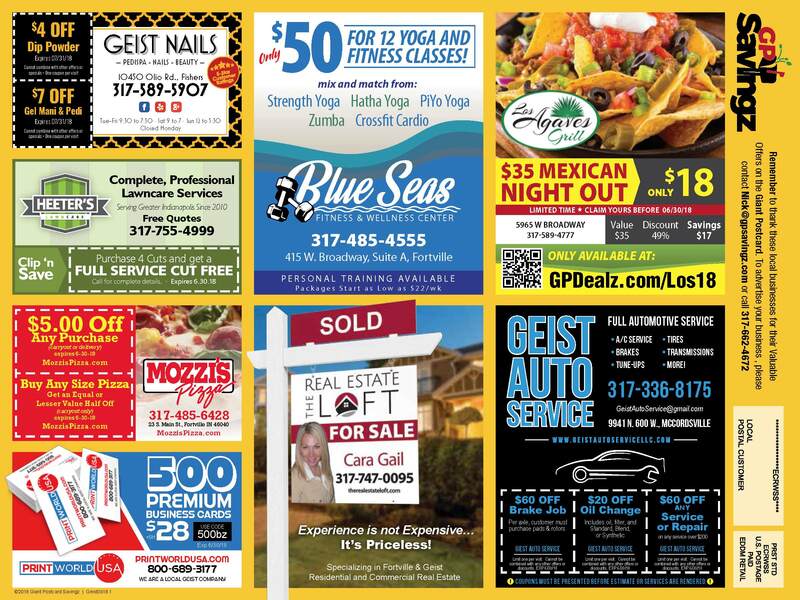 Your ad will be in front of 10,000 households, on average 22,000 people. And you’re on the front cover of this 9″x12″ Giant Postcard! We print using thick 16pt card stock, and apply UV coating on both sides so this “billboard” in a mailbox gets noticed! Our co-op model allows up to 17 retailers to share the expense of print & mailing. Plus we offer bi-weekly budget billing. You ad is designed by us, and approved by you. Provide us with your logo, pictures, and details on your offer, then its all done for you. We know you’re busy…let us handle the big lifting. Once all the ads are approved we go to print. We handle all of the print and fulfillment. All of mailing details are handled internally by us. We have multiple quality checks in place that ensure the Giant Postcards will be mailed without a hitch! Next step… be ready for your offers to be redeemed!